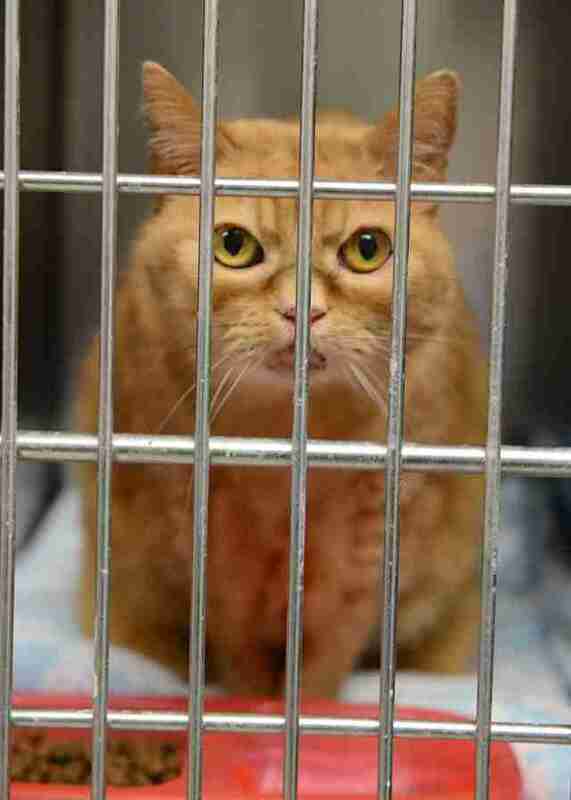 Scarlet was living on the streets after being declawed and abandoned, left all alone with no way to defend herself. She showed up on someone’s porch and pawed relentlessly at their door until they noticed her. She was covered in wounds and scars, and desperately looking for someone to love her. 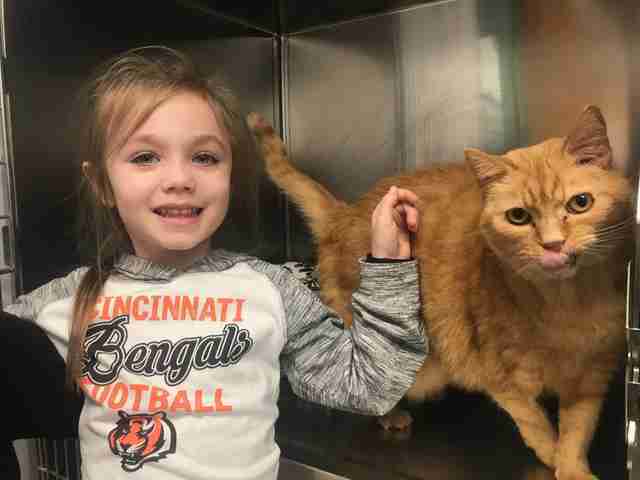 Scarlet was taken to the Clermont County Animal Shelter in September 2016, and has been there ever since. The shelter was recently taken over by Clermont Animal CARE Humane Society, which held a big adoption event to celebrate the new management. Over half of the animals in the shelter were adopted out — but poor Scarlet was still overlooked. Scarlet is around 9 years old now, which may be part of the reason no one has come to adopt her yet. Staff also think that Scarlet keeps getting passed by because of the way she looks. She is a little overweight, and she has some scars and a stern-looking face from her time on the streets. Really though, Scarlet is the sweetest cat around, and just needs someone who is willing to give her a chance. Staffers and members of the community have tried everything to help Scarlet find her forever family, but so far, nothing has worked. 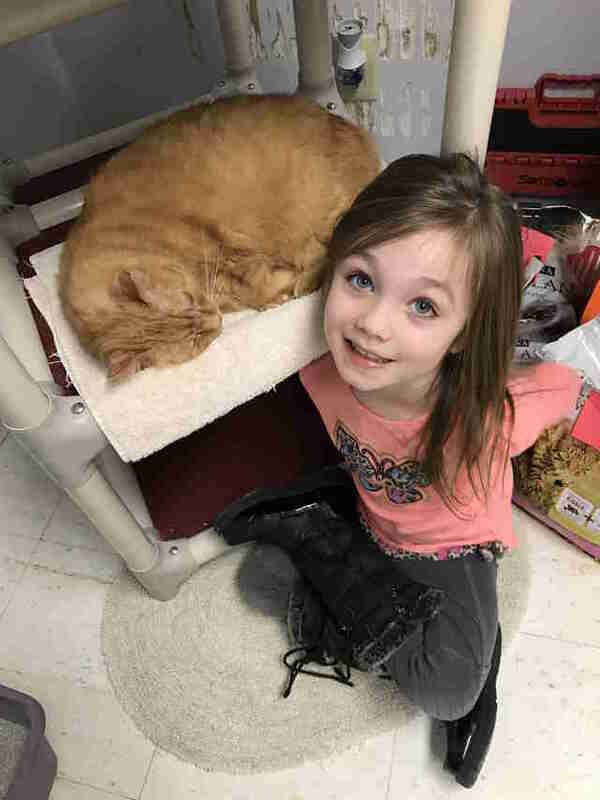 A little girl even raised money at her birthday party to sponsor Scarlet’s adoption fee, but still, no one has shown interest. The little girl and her mom visit Scarlet every week to keep her company, and help keep her spirits up as she spends day after day stuck at the shelter. “We think that Scarlett's perfect home would be one where she can just be herself with people willing to give her attention and welcome her to be part of the family when she wants to, but also giving her some space where she can get away if she needs some downtime,” Evans said. Scarlet has been waiting over a year for the perfect family to find their way to her, and everyone who knows her can’t wait for the day when they can finally see her off to her forever home. If you’re interested in adopting Scarlet, you can contact Clermont Animal CARE Humane Society for more information.